"It has LOTS of action, it's funny. And it's part of a series. The book is WAY better than the movie." "Percy's friend Grover is stuck at a cyclopse's cave in the sea of monsters of monsters/bermuda triangle. Will Percy be able to save him?" "Boys like to identify with Percy who, while half god, has decidedly human emotions. It has a fast pace, lots of action, is well written, a good intro to Greek mythology, and humorous (even the chapter titles are sometimes funny). These have turned on MANY a reluctant reader in my fifth grade classroom." 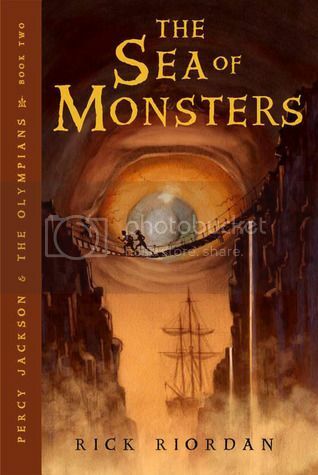 And if you want and exclusive new Percy Jackson story, check out Guys Read Vol 4: Other Worlds.